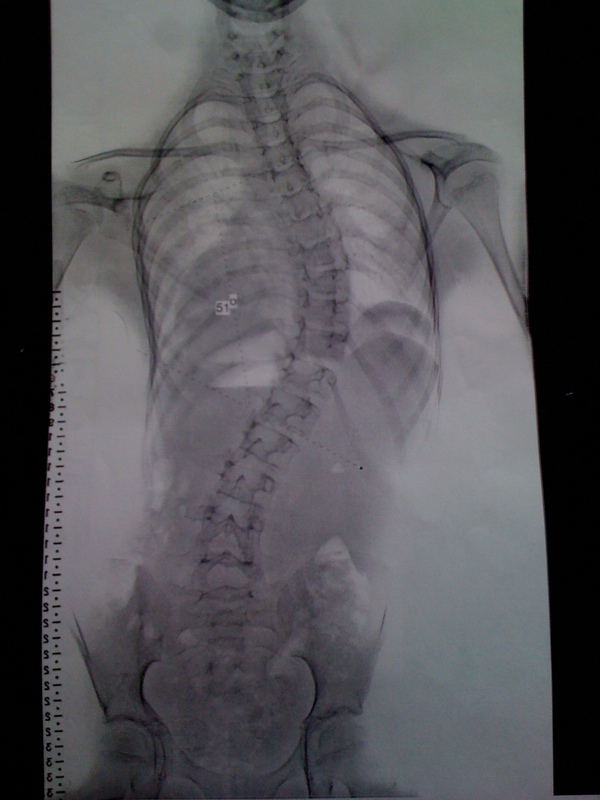 Today was Mackenzie’s follow-up x-ray appointment with the orthopedic doctor to see how her (scoliosis) curve is doing. I’ve been dreading the appointment all week; I just knew it was going to be bad news. I just had a gut feeling; the same instinctive feeling that I’ve had before where I’ve just known to not expect good news. So I was very surprised when the doctor’s assistant comes in and said she had very good news. She said they normally don’t expect to see any correction with a curve as severe as Mackenzie’s was, but that she was one case that was an exception. Her curve is now at 30 degrees! She will keep wearing her brace and will go back in another 6 months. I asked her why Mackenzie’s back would look worse to me, but the curve is showing improvement? 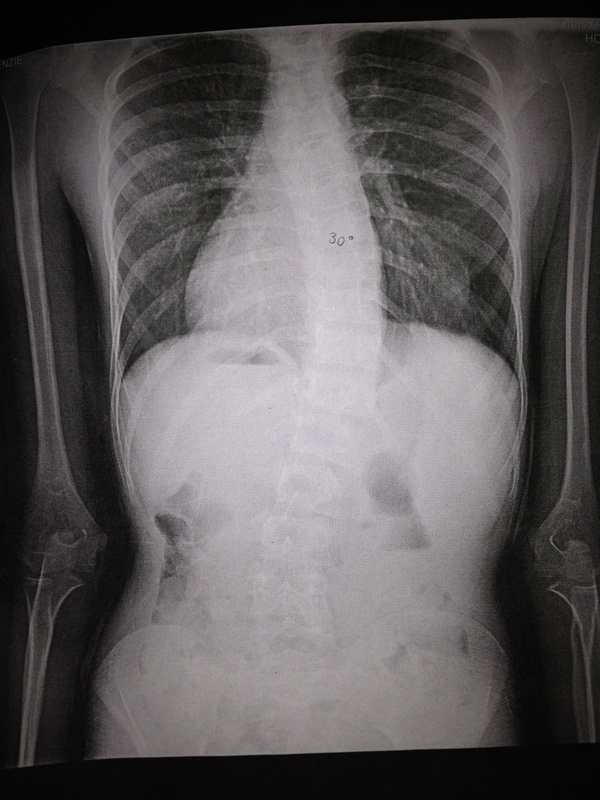 She said that the X-ray only shows left to right curves and wouldn’t show how her spine twists and makes her ribs stick out on one side. She said that’s her “rib hump” and it is considered “mild” right now. They said they would keep monitoring it. Monday she has an appointment with the place that made her brace to see if there needs to be any adjustments made. Will update then! Here are pictures of how she has changed over 8 months (and she grew from 4’8.5″ to 4’9.5″).